Although there’s no official recall announcement yet, if you’re currently chomping on a Costco frozen berry blend called The Townsend Farms Organic Anti-oxidant Blend, you should know that health officials with the Centers for Disease Control and Prevention say a five-state outbreak of hepatitis could be linked to the product. The frozen berry and pomegranate seed mix is linked in the CDC’s report to an outbreak that has sickened at least 30 people in Colorado, New Mexico, Nevada, Arizona and California. It says the first victim to fall ill was on April 29 and the most recent case was May 17, but more are expected. 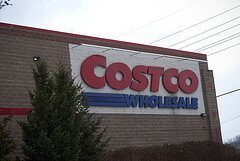 Costco is notifying customers who bought the product since late February and have also pulled it from the market. Almost half of those who’ve caught the contagious liver infection have been hospitalized, at 47% of those reported. Of the 17 people interviewed who caught hepatitis recently, 11 of them said they’d eaten the berry mix at question, and 11 also said they’d bought it from Costco. The CDC says the investigation is ongoing to see whether it was sold elsewhere. The CDC recommends throwing out the product, even if some of it has already been eaten without any ill health effects. Some people who contract it have no symptoms but many have fever, fatigue, nausea, vomiting, and abdominal and joint pain.